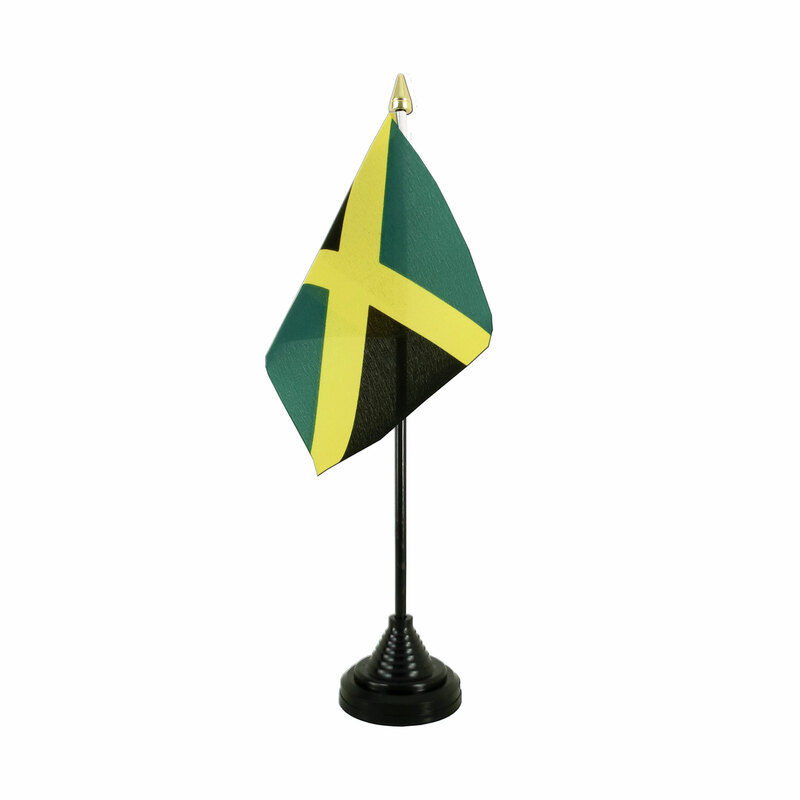 Our Jamaica table flags in size 4x6" are made from heat cut woven polyester fabric. 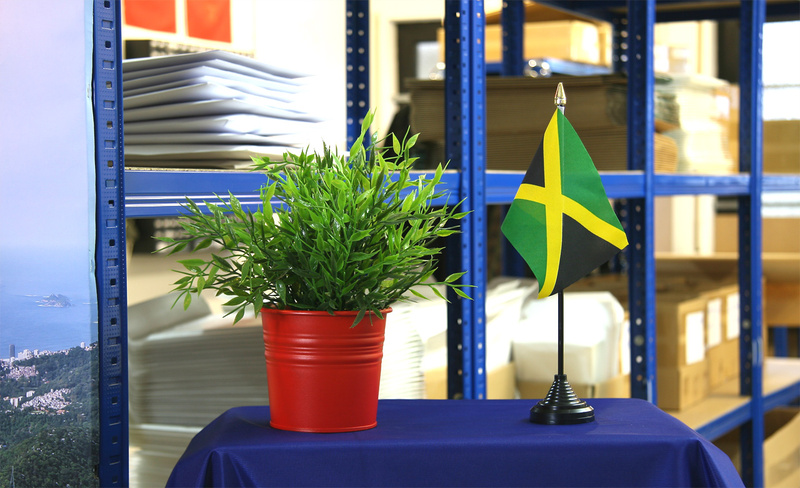 A pole with a gold tip and a base made from black plastic are included in the delivery of the jamaican, rasta table flag. 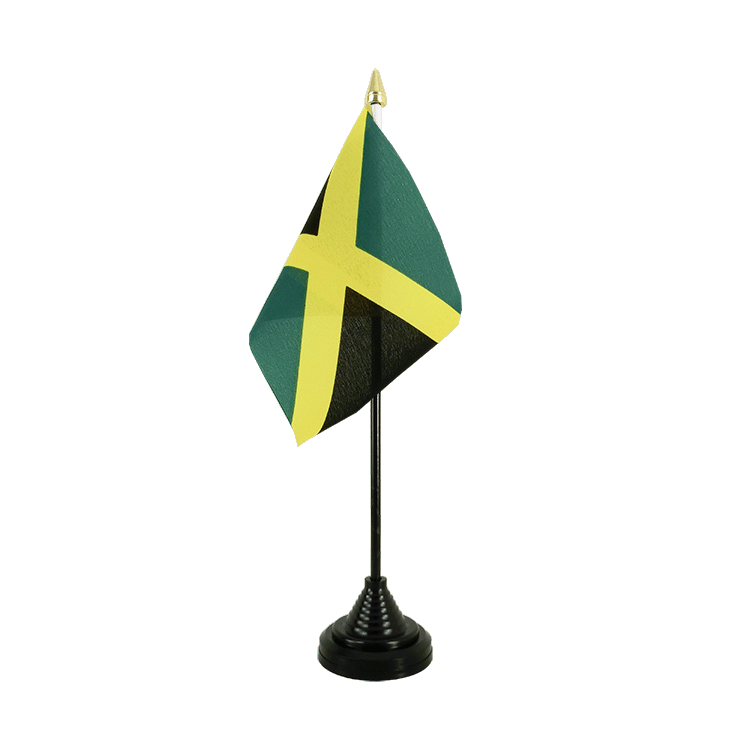 Here you can find all sizes and designs of our Jamaica flags for sale. Jamaica - Satin Table Flag 6x9"